After beating the likes of Jeddeloh and Sandhausen in the first two rounds of the German Cup, Heidenheim will be looking to claim a major scalp when they welcome Bayer Leverkusen at their Voith-Arena. The 2. Bundesliga side have been in a fine form in the league of late and they head into Tuesday’s football match following a 1-0 win over Dynamo Dresden. 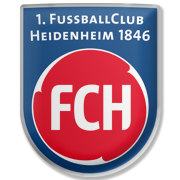 Heidenheim have been scoring goals for fun in the DFB Pokal this term, but we do not believe that they are capable of matching the Bundesliga side in round 3. The BayArena outfit proved their worth in a 3-1 win over Bayern Munchen at the weekend, meaning that they are brimming with confidence ahead of the German Cup clash. Leon Bailey looked unstoppable against the mighty Bavarians and we predict that he is going to pose a big threat for Heidenheim defenders.